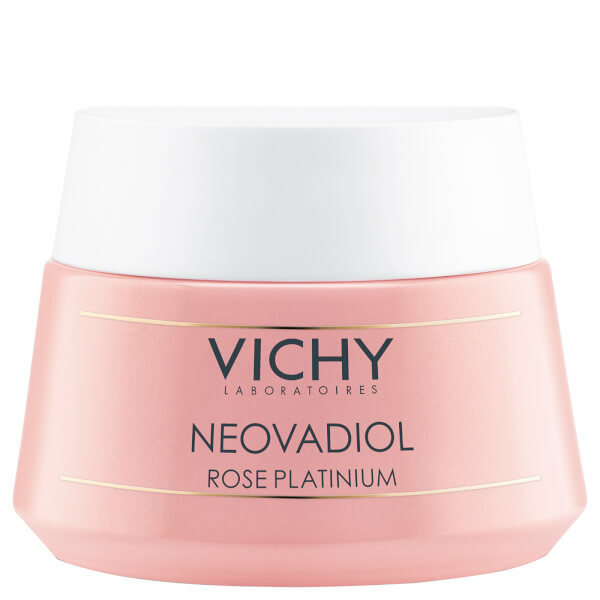 Restore a healthy, youthful glow with Vichy Neovadiol Rose Platinum, an anti-ageing moisturiser that tones and brightens skin. 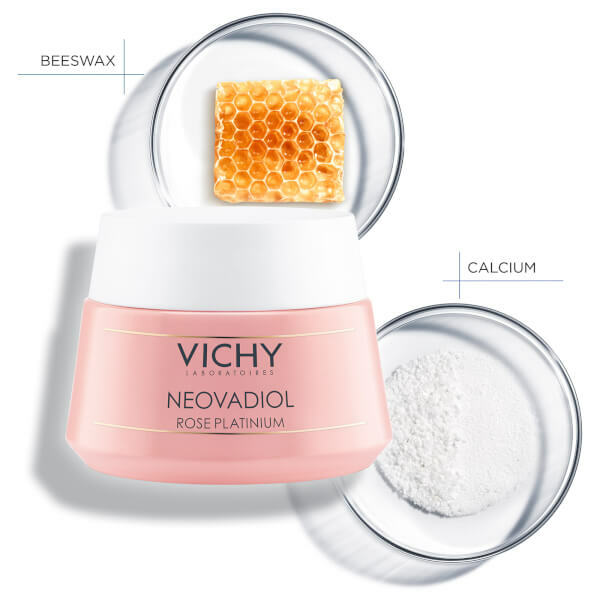 Smoothing like silk onto the face and neck, the rich cream uses Beeswax to protect against environmental pollutants, Calcium to strengthen the natural barrier function and a Salicylic Acid derivative to lessen the appearance of pigmentation for a clearer skin tone. 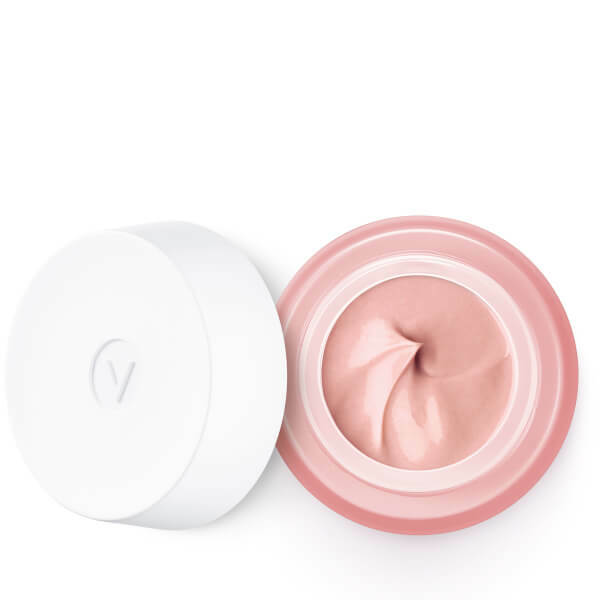 A combination of rosy pigments and Mother of Pearl works to infuse the complexion with a luminous radiance, helping to revive dull and pale-looking skin. 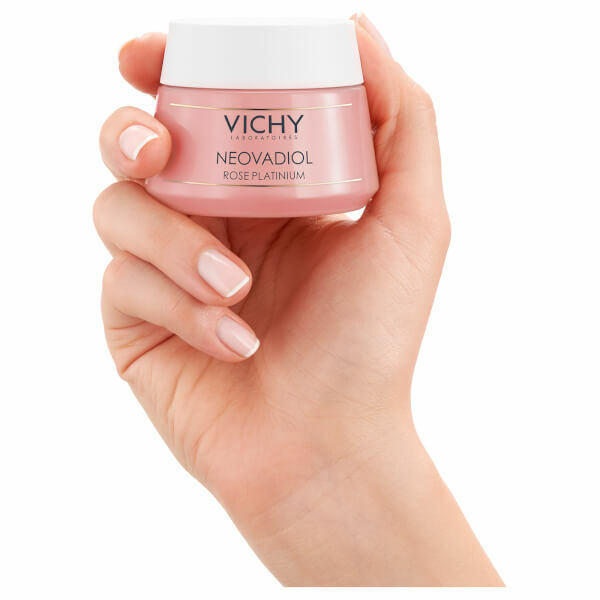 Wrinkles will be smoothed, hydration will be boosted and vitality will be restored to reveal a bright, youthful complexion. 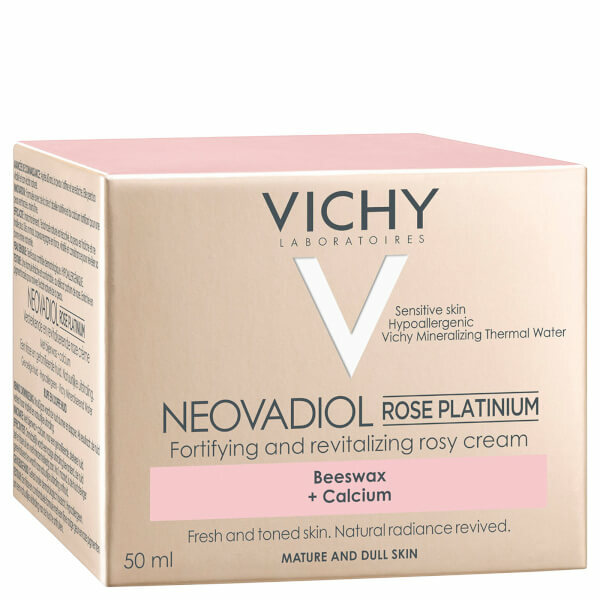 Cleanse and tone the skin. Pat dry. 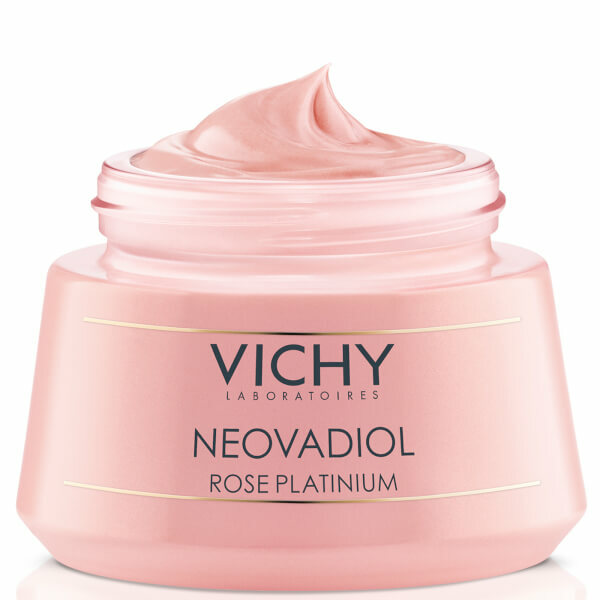 Follow with your usual serum to face and neck. 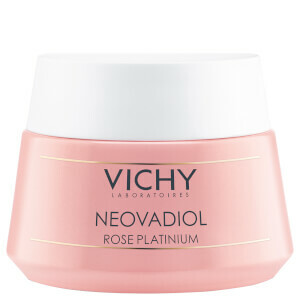 Apply Vichy Rose Platinum moisturiser to a clean, dry face. 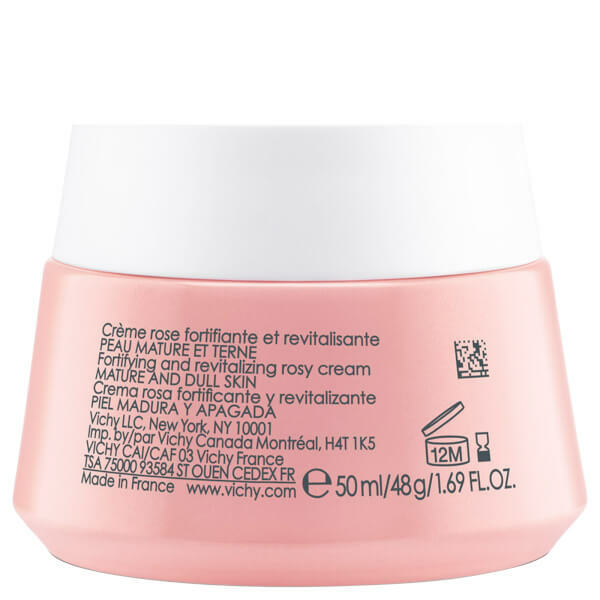 Aqua / Water, Glycerin, Alcohol Denat., Dimethicone, Paraffinum Liquidum / Mineral Oil, Butyrospermum Parkii Butter / Shea Butter, Bis-Behenyl/Isostearyl/Phytosteryl Dimer Dilinoleyl Dimer Dilinoleate, C30-45 Alkyl Dimethicone, Peg-20 Stearate, Silica, Oryza Sativa Bran Oil / Rice Bran Oil, Tin Oxide, Peg-100 Stearate, Peg-30 Dipolyhydroxystearate, Ci 77491 / Iron Oxides, Ci 77891 / Titanium Dioxide, Cera Microcristallina / Microcrystalline Wax, Stearyl Alcohol, Paraffin, Cera Alba / Beeswax, Potassium Hydroxide, Carbomer, Glyceryl Stearate, Calcium Pca, Trideceth-6, Sodium Phytate, Sodium Hyaluronate, 2-Oleamido-1.